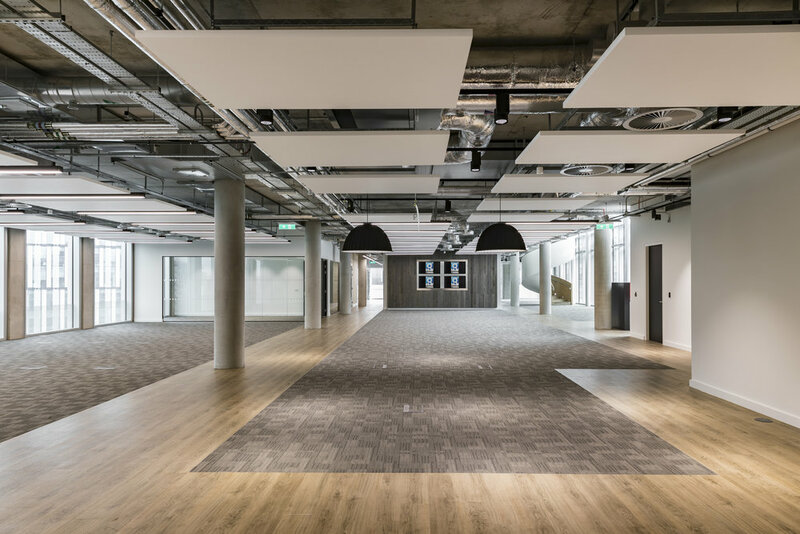 Surface to Air completed this fit out for Global Radio's office in Manchester in 2017. The XYZ building sits in the heart of Spinningfields, an exciting mixed use development and a thriving destination area. 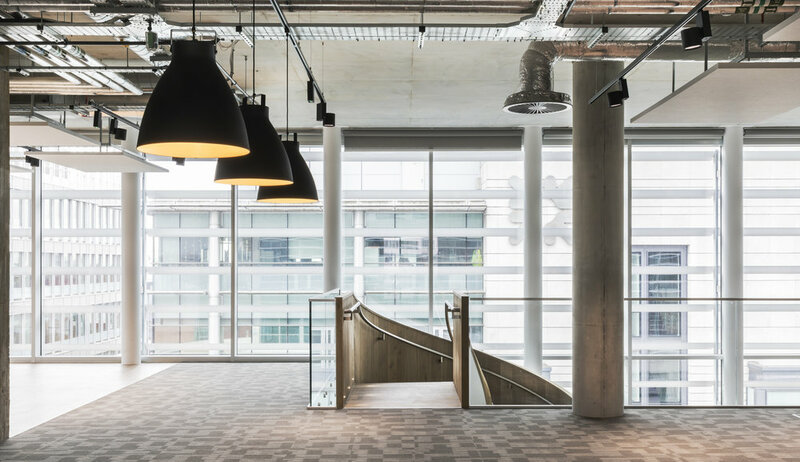 Surrounded by other tech and media companies, the fit out is spread over two large open floorplates, accessed from a central lift core and feature spiral staircase. A ‘room within a room’ approach to the Radio, News and Production Studios and meeting rooms are central design features of the openplan space. A sophisticated palette and flooring system defines the circulation and spatial hierarchy as well as stastifying rigorous acoustic criteria. Baffle ceiling system and partly exposed concrete ceiling approach emphasise the dynamic flow of open office space and transparency.